Before I was a stay-at-home mom, there was a woman at my office who was always baking the most amazing creations. One day she shared that she had made a dessert called “clafouti,” and I wasn’t sure what she meant. I had never heard the word before in my life, yet alone baked or eaten one. 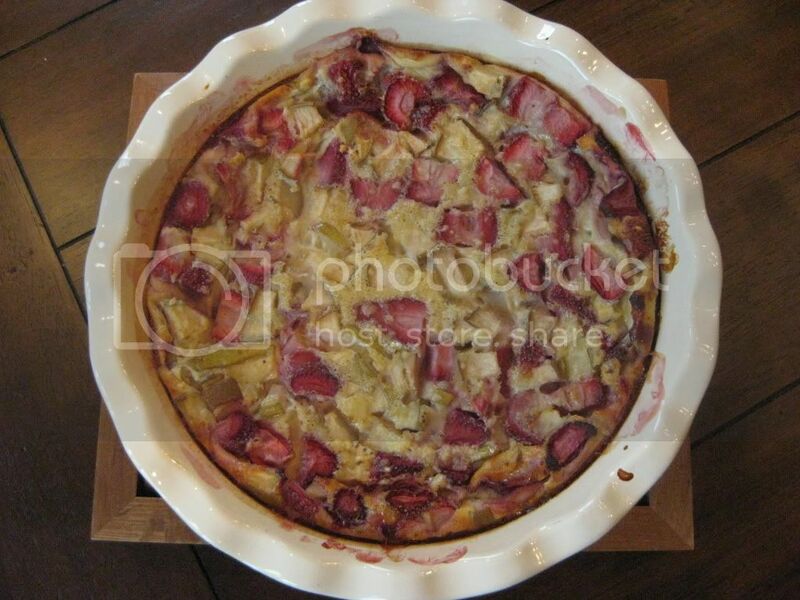 Fast forward to last year when I finally researched how to make one, and guess what--clafouti apparently is a French word that could be translated to mean “simple, easy dessert.” What a pleasant surprise. 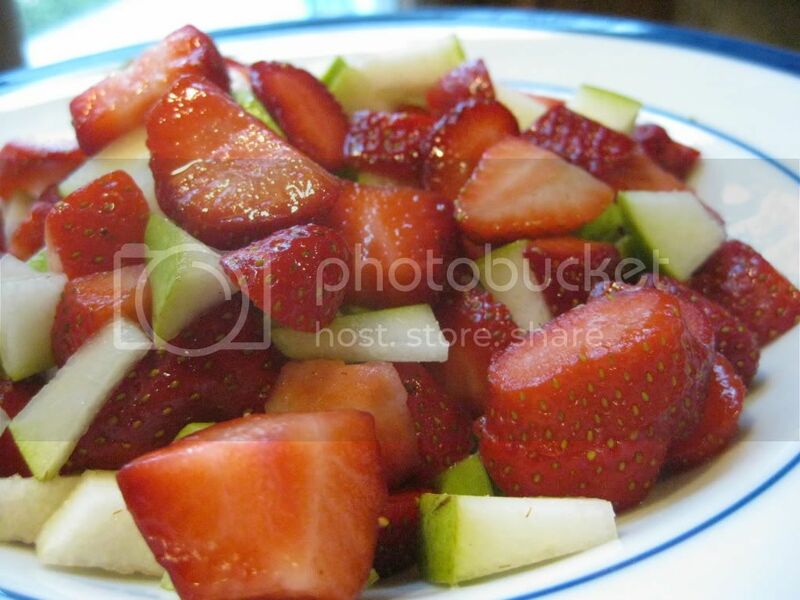 You can use a variety of different fruits for this recipe, but I settled on strawberry and pear, since both looked fresh. The traditional recipe calls for cherries, but I found recipes for plum, blueberry and even apple clafouti. Since I now know this recipe is a simple, healthful dessert, I will be trying new renditions soon. Grease a deep dish pie pan or a 9x9 glass pan. 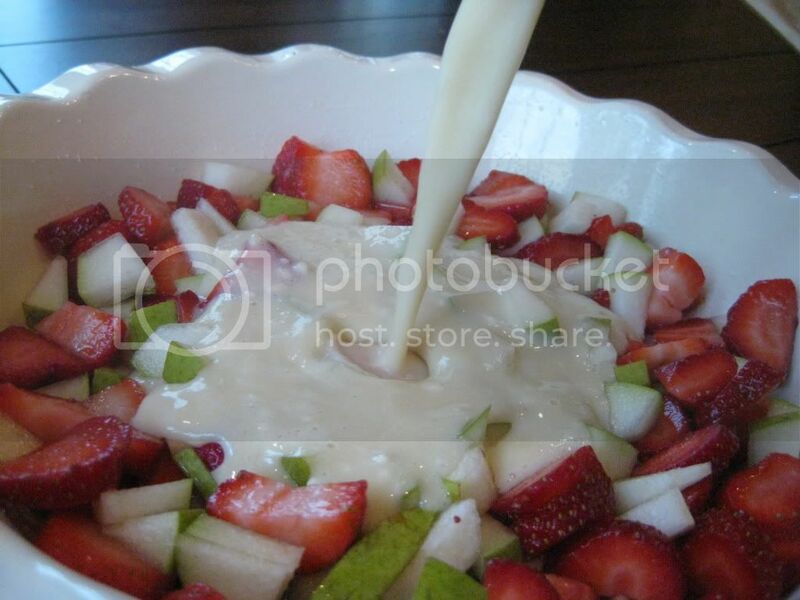 Mix the strawberries, pear, lemon juice and brown sugar together in a bowl. Pour into the bottom of the pie or glass pan. In a large bowl, beat the eggs. Add the milk, flour, vanilla, white sugar and salt. Mix until smooth and pour oven the fruit. Bake for 50-60 minutes or until a toothpick inserted into the middle comes out clean. PS--You might recognize this recipe from my former FamilyEducation.com blog. 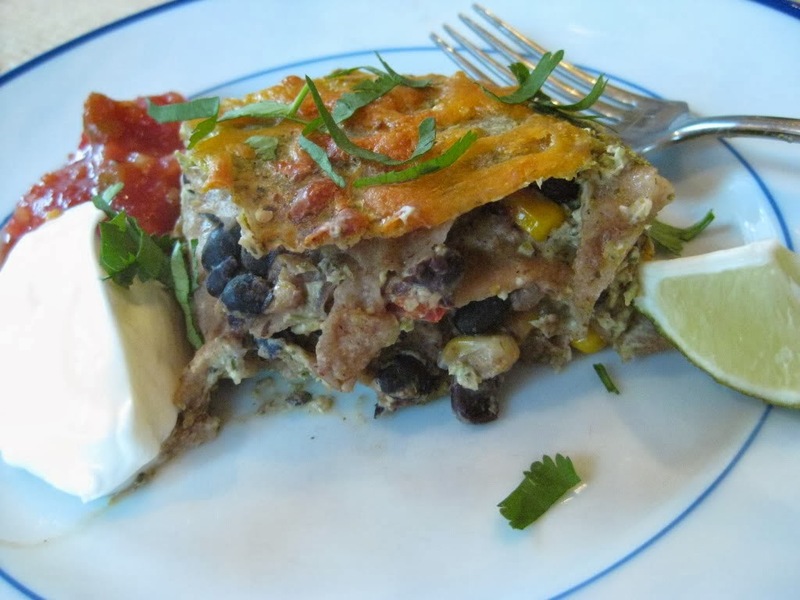 I am in the process of moving some of the very best FE.com recipes to SP&P. Cheers!